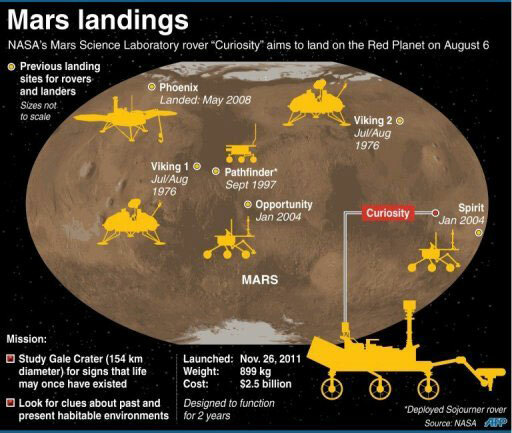 So far, NASA has had six successful Mars landers: Viking I and II, Pathfinder, MER Spirit and Opportunity, and Phoenix. However, all these missions were robotic missions with vehicles that were significantly lighter than a spacecraft carrying astronauts, supplies and fuel for a round-trip. Developing systems for a manned mission to Mars will require a careful balancing act between minimizing the weight and figuring out how to use the least amount of fuel possible. At least 34 million miles separates Mars and Earth (the distance between the two planets varies during their elliptical orbits around the sun). One of the greatest design barriers engineers are facing is dealing with the amount of fuel that will be needed to send a spacecraft on such a round trip distance. More fuel means more weight, and more weight means the need for more fuel to transport that weight. To send humans to the Mars surface we are going to need an EDL system capable of delivering at least 10 times (the) mass and volume of the current robotic missions to Mars, and NASA has actually been giving some serious thought to this over the last several years. The Mars mission would involve a payload at least of 50 tons (so far, the max payload sent on Mars is 900kg for Curiosity), that consist in food, water, equipment, all needs for a long journey at least of 17 months. Are we capable to land a so big payload on Mars? So this will be so problematic from technical point of view, for the landing phase would be necessary a so huge parachute, that till now is not clear how to build. As well as for the thermical-shield used for atmosphere approach, that would be a so huge part, and would be so difficult to design due to big vibrations that could bring to a dangerous instability during the approach. The spacecraft must angle its entry into the Martian atmosphere correctly: If it is too steep, the craft may burn up, and if too shallow the craft may miss the planet altogether. Astronauts must use reverse thrusters and parachutes to slow the spacecraft down so that it is not destroyed upon impact with the surface. The craft must also locate a safe landing surface on the rugged terrain of Mars, parts of which are peppered with gigantic craters. 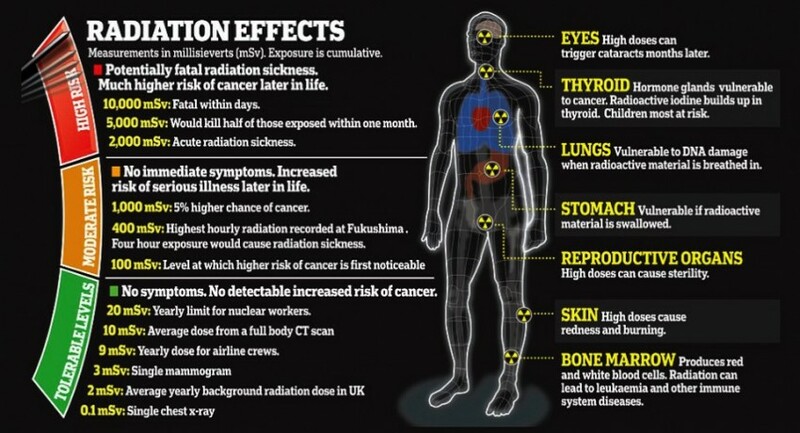 The evidence for cancer risks from humans exposed to radiation is extensive for doses above 100 millisieverts (mSv). There are uncertainties for lower doses and in transferring risks between populations with different genetic and dietary attributes. Human epidemiology can be applied to space exposures; however, there are additional uncertainties related to the quality of radiation in space, while the doses to be expected on space missions are well understood. 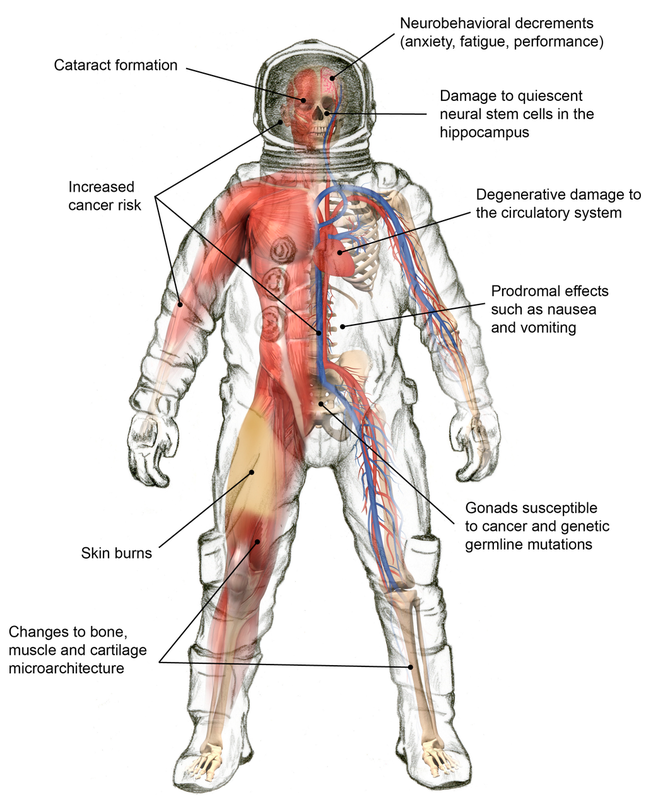 Reducing the uncertainties in risk assessment is required before a mission to Mars can be undertaken and has led to a number of investigations on carcinogenesis and degenerative diseases. The large uncertainties in risk projection models will only be reduced by improving basic understanding of the underlying biological processes and their disruption by space radiation. It is unlikely that the radiation risk problem for space exploration will be solved by a simple countermeasure, such as shielding or radio protective drugs. The association between ionizing radiation exposure and the long-term development of degenerative tissue effects such as heart disease, cataracts, immunological changes, and premature aging is well-established for moderate to high doses of radiation. The majority of this evidence is derived from epidemiological studies on the A-bomb survivors in Japan, radiotherapy patients, and occupationally exposed workers and is supported by laboratory studies using animal models (Blakely et al. 2010) and studies of cataracts in astronauts (Cucinotta et al. 2001; Chylack et al. 2009, 2012). On Earth, tiny gyroscopes in your brain give you spatial awareness. They tell you when you tilt your head, accelerate, or change position. But it’s different in space. 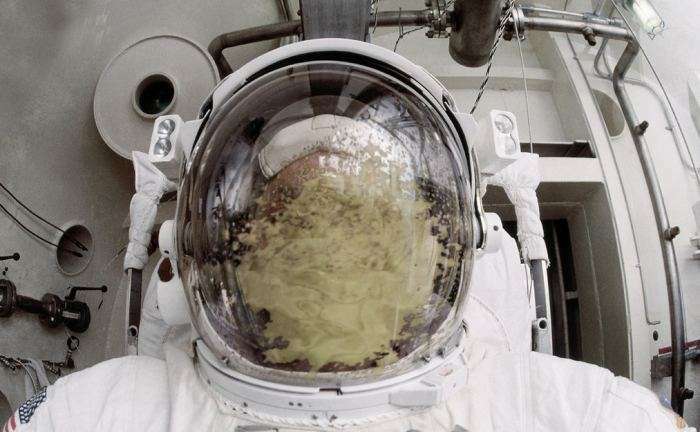 In Zero G, astronauts suffer a lot of nausea. A lot of them spend days feeling incredibly unwell. It’s like being seasick. There are many examples. In 1968, NASA launched Apollo 8. Astronaut Frank Borman suffered such a bad bout of space sickness on the way to the moon that Mission Control considered shortening the mission. Fortunately, just like people going to sea eventually get their sea legs, astronauts develop ‘space legs’ within about two weeks. But once they return to Earth, the opposite is true — many of them have to work hard to get their ‘Earth legs’ back. Space travel is still inherently dangerous. Essentially you are floating through an airless vacuum in a sealed-up container, only staying alive because of the machinery recycling your air and water. There is little room to move and you’re in constant danger from radiation and micro-meteorites. We don’t know what months and months of living in an unchanging capsule habitat with only blackness outside the little window will do to people’s minds. Even if you turn the ship around, Earth will be a distant speck of light. There’s little more than hydrogen atoms for hundreds of thousands of kilometers around you. Research groups are looking at how to maintain mental health in extreme environments, including using interventions such as meditation and the positive impact pictures of nature can have on space travelers. Virtual Reality might also help by giving the astronauts a rest from the monotony. Then there’s the issue of emotions. On Earth, if people get upset with their boss or workmate they might take out their frustrations at home or the gym. In space, astronauts can’t afford to get angry with each other. They must be able to react really quickly, communicate, and work as a team. In contrast, there’s a positive psychological phenomenon of space travel, known as the “overview effect”: most astronauts who have gone into space have come back with a change of perspective. They become more environmentalist, spiritual, or religious. Tight, elastic body suits or “penguin suits,” developed by the Soviet space program, attempt to mimic the effects of gravity on muscles by providing a deep compression force on the skin, muscle, and bone—meaning they have to work harder to perform normal movements. But they’re far from perfect. A common hazard on the ISS is the fine specks that float around the cabin, often lodging in the eyes of astronauts and causing abrasions. But the lack of gravity and the movement of fluids are what can cause the most serious issues for astronauts. 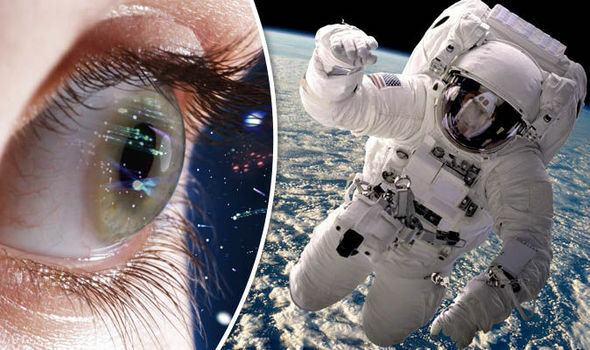 Most end up wearing glasses in space and when they come back, some even have permanent changes to their vision. The deterioration results from the fluid shift to the head building up in the skull where it bulges into the back of the eyeball and changes the shape of the lens. This bulging seems to cause the irreversible vision problems we’re trying to understand and manage. If you catch a cold on Earth, you stay home and it’s no big deal. Space is another story. You’re living a densely packed, confined space—breathing recirculated air, touching common surfaces over and over again, with a lot less opportunity to wash. 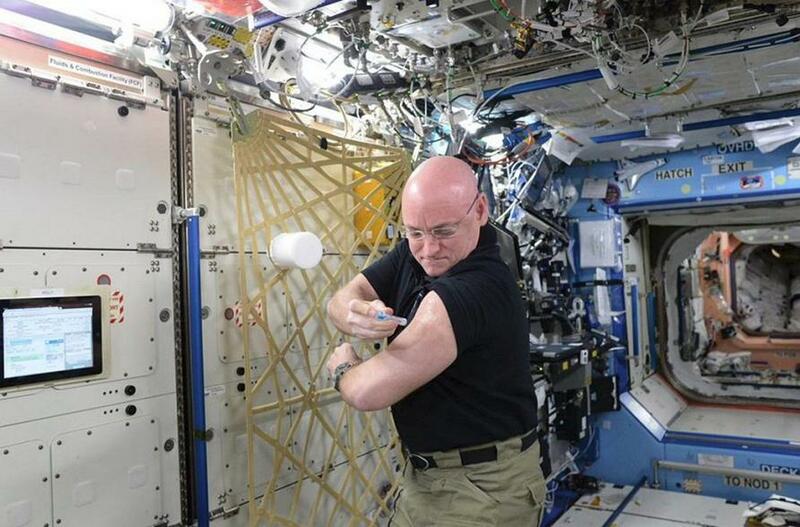 The human immune system doesn’t work as well in space, so mission members are isolated for a few weeks before lift-off to guard against illness. If someone has a flu, everyone is going to get it and there are limited medical facilities and a very long way to the nearest hospital. Luckily, there have not yet been any major medical emergencies in space, but astronauts have training to deal with them. For instance, ISS astronauts have developed a way to perform CPR in zero gravity by bracing their legs on the ceiling while pushing down on the patient on the floor below. While a rescue from the ISS can be performed within a day, the people who go to Mars will be an eight-month journey away, and they need to be prepared to manage on their own. How do you lift them on a stretcher, get them into an airlock, out of their suit, and onto a surgical table with a doctor, a botanist, and a couple of scientists to help do surgery? You may have an orthopedic surgeon on Earth sending you information on how to do it, but there is a 20-minute time delay. Here on Earth, Mars Analogs simulate some of the conditions human beings could experience during a future mission to Mars, allowing researchers to work on solutions to situations like what to do if a team member breaks their leg while outside the base. And while research has shown that liquid water once flowed on Mars, a recent study found that the soil is toxic to bacteria —one of the simplest forms of living organisms—and thus may also pose problems for sustaining human life. 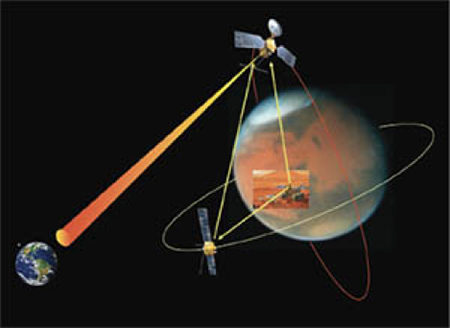 All communication between Mars and Earth goes through satellites. Because of the distance, there is a substantial delay. As communication signals travel at the speed of light, this means that it can take between 3 and 22 minutes for the information to reach the other end, so a phone call would not be practical. Fortunately, there would be no limitations to email, texting or ‘WhatsApping’ with the Mars residents. It’ll just take at least 6 minutes for you to get your reply. Both voicemail and video messages are also easily workable options. Nasa, The American space agency has made landing humans on Mars a high priority of its exploration programs and under bipartisan 2010 legislation pledged to develop the capabilities to send humans to the planet by the 2030s. But there remains a major problem standing between mankind and the red planet: money. The head of NASA’s program on human exploration of space, William Gerstenmaier, said on Wednesday that with its current budget the agency simply cannot afford the cost of propelling a manned spacecraft to Mars. “Through this horizon, through the 2030s, I can’t put a date on humans on Mars,” said Gerstenmaier on Wednesday, in response to a question at a propulsion meeting of the American Institute for Aeronautics and Astronautics in Georgia. 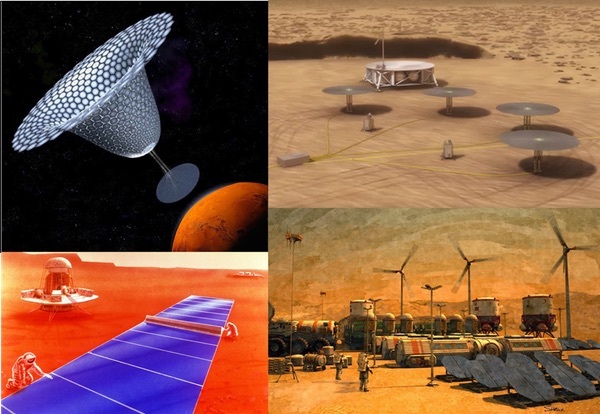 “At the budget levels we’ve described—it’s roughly a 2 percent increase—we don’t have the surface systems available for Mars. That entry, descent and landing is a huge challenge for us for Mars.” NASA has landed several unmanned exploratory vehicles on Mars in the past. The Curiosity rover, which landed on Marsh in August 2012 and will soon be celebrating its five-year anniversary exploring the planet, cost around $2.5 billion. 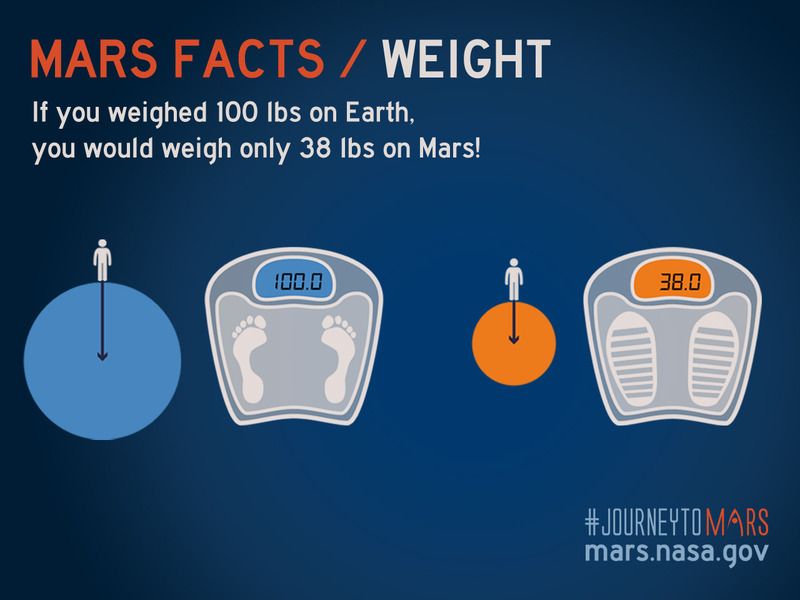 Gerstenmaier said that a manned mission to Mars would weigh around twenty times what previous rovers have weighed. “So it’s a twenty-fold increase in capability,” he said, likely meaning a much higher cost. Lawmakers allocated NASA a budget of $19.5 billion for the 2017 fiscal year, which equates to less than half a percent of the overall federal budget. The agency has not produced a specific figure of the cost of a manned mission to Mars, and estimates vary depending on sources. In 2012, the manager of mission formulation of NASA’s Jet Propulsion Laboratory, Brent Sherwood, estimated that the project could cost up to $100 billion over the course of 30 or 40 years. More recently, Pascal Lee, the director of the Mars Institute—a nonprofit research group funded partially by NASA and based at a NASA research center in Silicon Valley—said in May that a human mission to Mars could cost up to $1 trillion over 25 years. 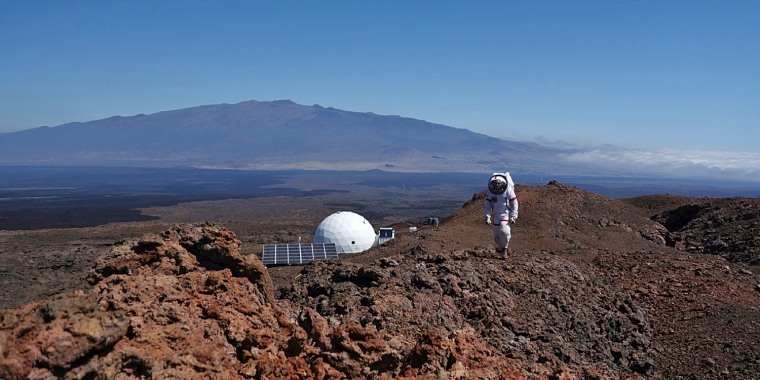 Private organizations that are working on their own missions to Mars have estimated lower costs. Mars One, a Dutch-Swiss organization aiming to establish a permanent settlement on Mars, aims to bring four people to Mars at a cost of $6 billion. SpaceX founder Elon Musk, who has said he wants to send humans to Mars in the early 2020s, put the cost at $10 billion per person in 2016.